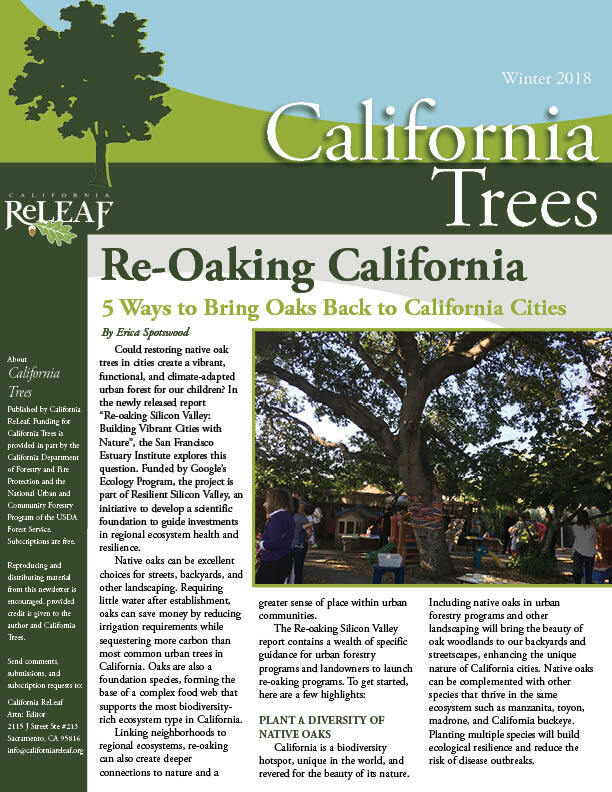 California ReLeaf’s newsletter, California Trees, features news and commentary on urban forestry programs and concerns around the state. Subscriptions are free and are delivered both digitally and/or via US Mail. Click here to read the Winter 2018 edition of California Trees! An article about Re-Oaking California based on the latest research done by the San Francisco Estuary Institute. ReLeaf’s and our partners’ Legislative accomplishments for 2017. Our thanks to our CAL FIRE Urban Foresters for fighting wildfire all around the state. See a list of all past newsletters and their articles here.